The holidays are about to get a whole lot brighter with ABC's immensely popular decorating competition series, "The Great Christmas Light Fight," premiering MONDAY, NOV. 26 (8:00-10:00 p.m. EST). Produced by Fremantle, the hit holiday series is back for a sixth season with returning celebrity judges: lifestyle expert Carter Oosterhouse and interior designer Taniya Nayak. Season 6 of "The Great Christmas Light Fight" showcases the wildest and most spectacular Christmas displays in America. In each one-hour episode, four families from all around the country decorate their homes to the extreme in the hopes of winning the coveted Light Fight trophy and a $50,000 prize, with a total of $300,000 given away for the season. This season, as the temperature cools down, the competition heats up when families invite us from out of the snow inside their homes to witness their fantastic Christmas décor for the very first time. In addition to all of the stunning inside/outside displays, the first ever "Heavyweights" episode will showcase light shows that have grown too large for any home. 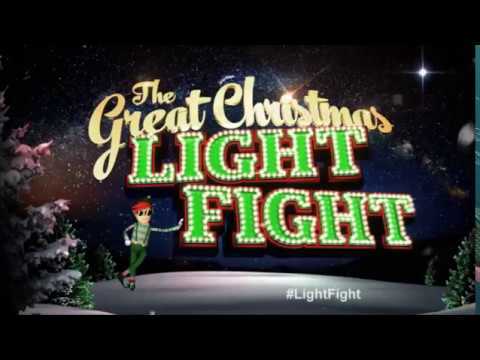 The Great Christmas Light Fight Season 6 was released on ABC 144d ago in the US. Notify me when The Great Christmas Light Fight Season 6 is available.